Back in August 2015, an alarm about fake Tecno phones flooding the market was raised, likely starting with the Tecno M3. We equally warned of a likelihood that cloned Infinix phones will soon flood the market and it seems that time has come. As you know, we provide free support to device users on this blog so we spot variants quite quickly. Variants are devices of the same model but with slightly different specifications or software configurations. For example, an Infinix Hot 2 X510 1GB RAM and Infinix Hot 2 X510 2GB RAM are variants of the Infinix Hot 2 X510. A difference in Build Number (Settings > About > Build Number) could also be an indicator of a variant. 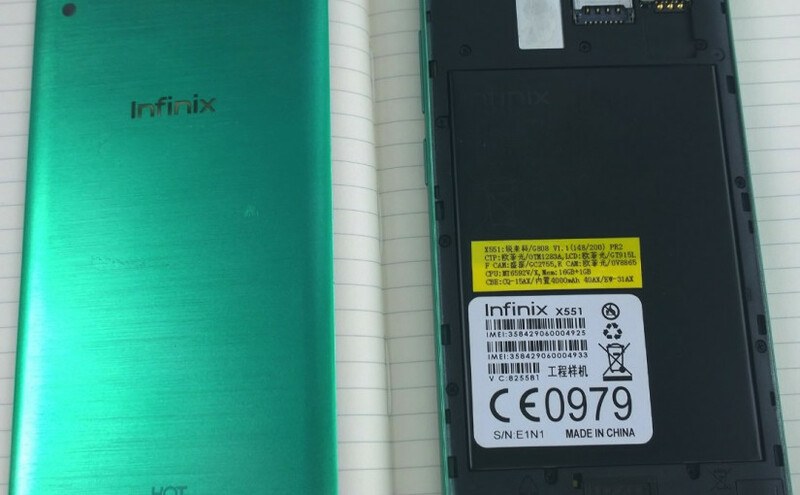 An example is the Infinix Zero X506 where you have the J608 or J609 Build Number for the 16GB ROM variant. Do I have to worry about variants? There are quite a number of other Infinix phone models with at least 2 variants but I hand-picked the above because they have the highest occurrence of bricking due to flashing the wrong variant’s stock ROM. Now, I don’t expect the same firmware to work on two variants without a few problems here and there. The part I frown at is releasing variants like a silent fart. Silent farts are the deadliest….and thats me talking from experience! What do variants have to do with fakes and clones? Samsung and Xiaomi will be able to tell you much about clones / fakes; how much of your market share and name they could damage. Any brand that has a good market qualifies to be cloned, whether you manufacture quality or crappy devices. Multiple variants for the same phone model makes it easier for clones / fakes to penetrate. If -for example – Infinix XYZ is launched and it spots 3GB of RAM. I then head to the market to grab one only to be told that the 3GB RAM version is out of stock but I can get the 2GB RAM version. I would naturally be shocked because what I saw in the advertisements was 3GB RAM. Nowhere was there a mention of a 2GB RAM version (well….maybe in the terms and conditions which nobody reads). I then have to make a call to a phone freak friend to confirm if there is indeed a 2GB RAM version and that its original. My friend would likely be like “Ehn? When did Infinix release that one again?”. This lack of information (due to burnout from several new models and variants released too frequently ) has created more than enough room for a clone / fake to sneak in. How do I identify a fake or cloned Infinix phone? If history is anything to go by then IMEI and Stamps (under the battery) are not reliable indicators. Tecno’s strategy was to verify using the IMEI and VC code. I countered that this was a joke as a Mediatek phone’s IMEI can be changed, same goes for other phone information. This was just a theory then but became a reality when I encountered a Spreadtrum based Tecno M3 which passed the IMEI VC test. 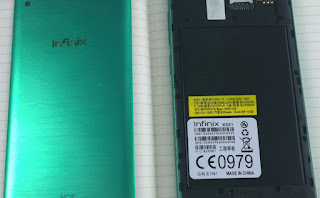 We began suspecting a presence of fake Infinix Hot 2 X510, Hot Note X551 and Zero 2 X509 after encountering some cases where all firmware resulted in BROM Error 4032. In such a case, the phone is either a new variant, has a damaged eMMC chip or a fake. Under the back cover: This is often where dismantling / disassembling begins so the pirate would need to pay careful attention to detail in order to fool you here. Take note of the arrangement of the SIM slots, Battery (if removable or inbuilt), Speaker and SD card slot in the original. Specifications: You could install the Antutu Benchmark app then compare the specs to what is available online. You could also check Settings > About and Settings > Apps > All. If the pirate is able to replicate all these then I think the phone is worth buying . Where can I purchase an original Infinix phone? To avoid purchasing a fake or cloned Infinix phone, you should patronize only reputable dealers. stay real. Your comments are needed in other yo serve you better. Thanks.